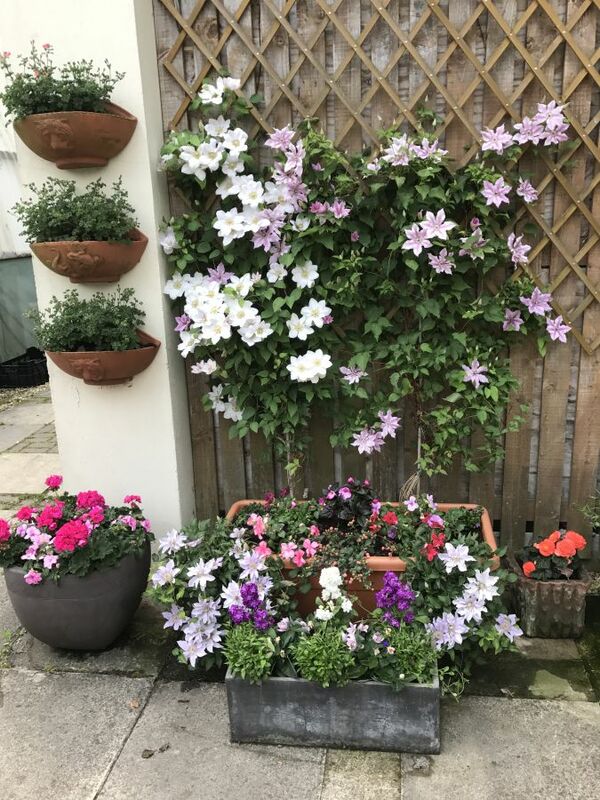 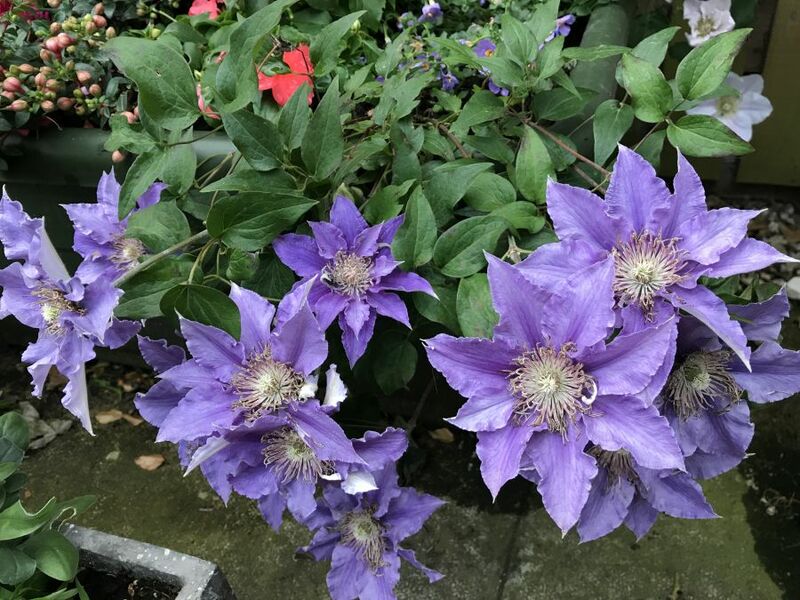 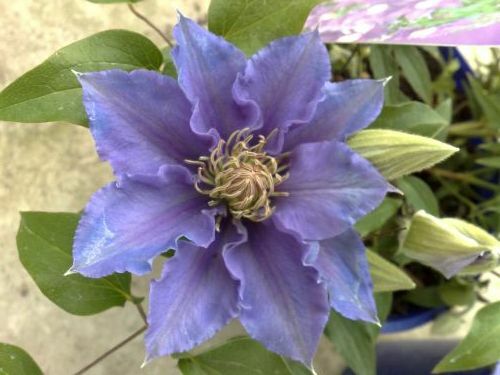 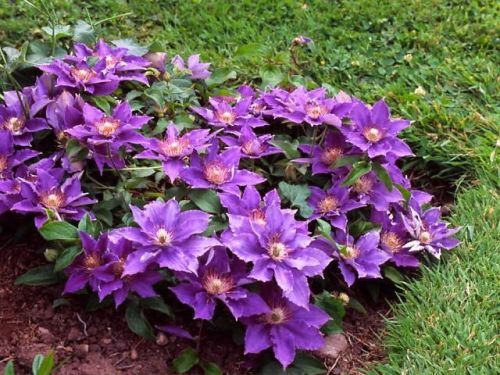 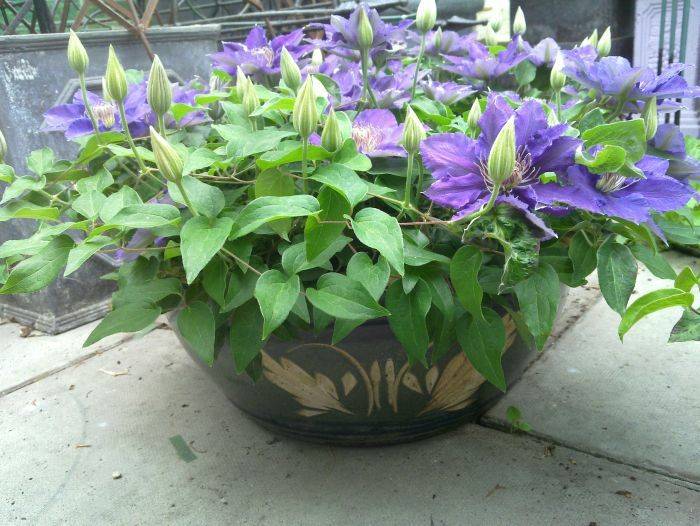 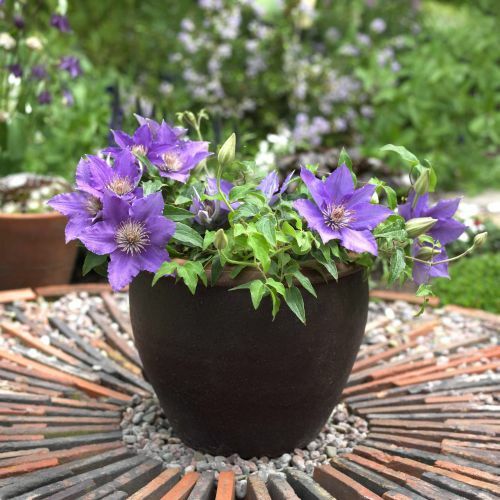 1st of it's kind !,From the pictures you can see that this brand new clematis ' Bijou ' grows in a mound/trails and can be used to fill in borders or grown in hanging baskets can make a nice show all year round ! 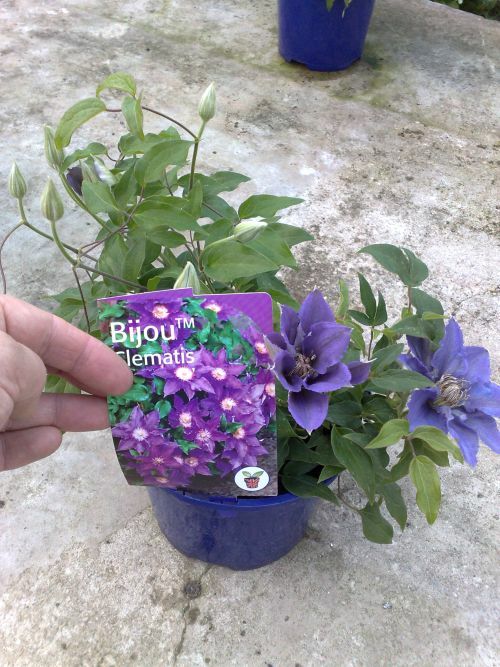 Bijou only grows around 1- 2 feet so as to make a nice fuller effect. 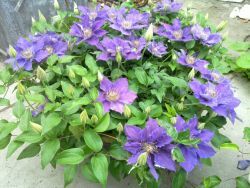 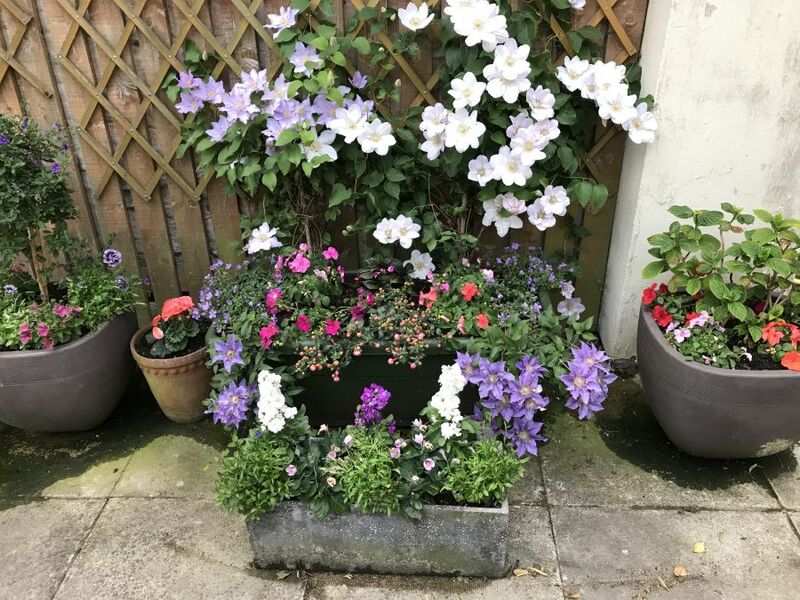 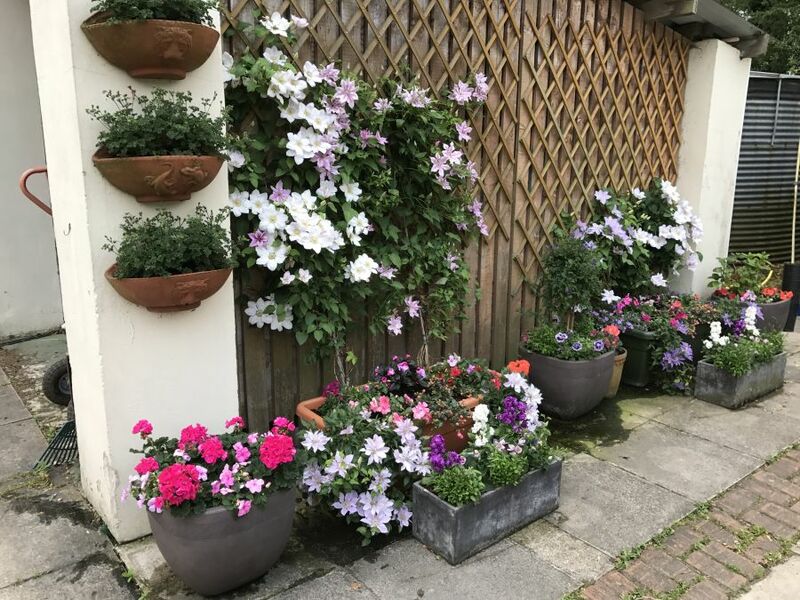 Even though Bijou is a smaller variety it still puts on lots of large blooms (some open semi-double too) all summer and makes a great talking point !